Panasonic held its convention in London today, expanding its LED and Plasma range with both 2D and 3D capability. Comprising of 37 and 32 inch panels, the DT30 is the flagship 3D LED LCD range and includes the new IPS Alpha panel. Advantages of this panel include a fast response time and wide viewing angles, while 400 HZ backlight scanning for improved motion in 3D and 3D. This set includes an industry fastest scanning range of 2ms, reduced crosstalk and improved black reproduction. 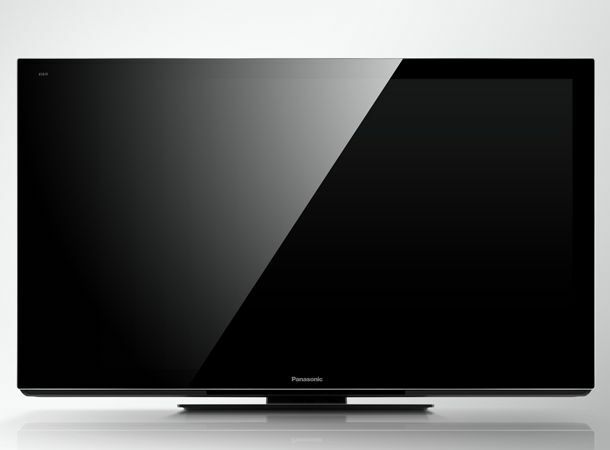 Panasonic also showed its flagship plasma range the VT30, first introduced at CES this 3D set is billed by a Panasonic spokesman as 'the best TV we've ever built.' Panasonic televisions have arguably never been as stylish and LG or Samsung rivals, but the company looks to change this with its High Line Design, her construction from a single piece of glass enables a wafer thin design. Available in 65, 55, 50 and 40-inch panel sizes, the VT30 incorporates new NeoPlasma technology, with a fast 600Hz mode and blisteringly fast response time of 0.001ms, making it particularly suited to 3D. Else where it has THX 2D and 3D certification, consumes 20 watts less power and comes with a WiFi LAN adaptor and two pairs of 3D glasses. There's no news on pricing yet, but the DT30 and VT30 are out in May/June, find out more from Panasonic.